With constantly evolving technology, it can be difficult to keep up with all of the updates your computer needs, the scans, and the virus protection software. But if you’re just relying on your antivirus scanner to keep your computer safe, you might want to think again. Since technology is constantly updating, it’s hard for even your antivirus software to keep up with all of the changes, including new viruses and bugs that are created and improved every day. So, with all this continuous change, what are some good practices to get into to make sure your computer stays as safe as possible? Use antivirus – If you’re not using it, you’re not safe. As mentioned above, they aren’t perfect but they’re currently the best defense your computer has against viruses and malicious bugs. You might think you’re being safe, only opening trusted sites, no suspicious downloads, etc., but the fact is that viruses can still get through all of your precautions, which is why antivirus is so essential. Uninstall Java – Most people unknowingly have an old, outdated version of Java running as they surf the web. Because Java has a lot of security issues, you can easily contract a virus without even knowing it. So, avoid the risk, and just quickly uninstall Java from your computer. Update your software – We know this can be a pain, and those constant pop-ups always occur at the worst time. You can save yourself the trouble and just choose to have your software – Internet Explorer, Google Chrome, Adobe Reader, etc. – update automatically. This way you don’t have to worry about updating the programs yourself, and your computer will be much more secure. Use caution in downloads – This might seem like a no-brainer, but insecure and untrustworthy downloads are a major risk for your computer. If you’re downloading software, for example, make sure you go directly to the software’s original website. There are a ton of sites on the internet that may advertise the software download as a disguise for a virus or malware. Unique passwords – Do not reuse passwords. This just opens you up to more trouble. As soon as a hacker figures out one account, they’ll have access to all of your other accounts. Protect yourself and your computer ahead of time by making sure you’re choosing unique passwords. 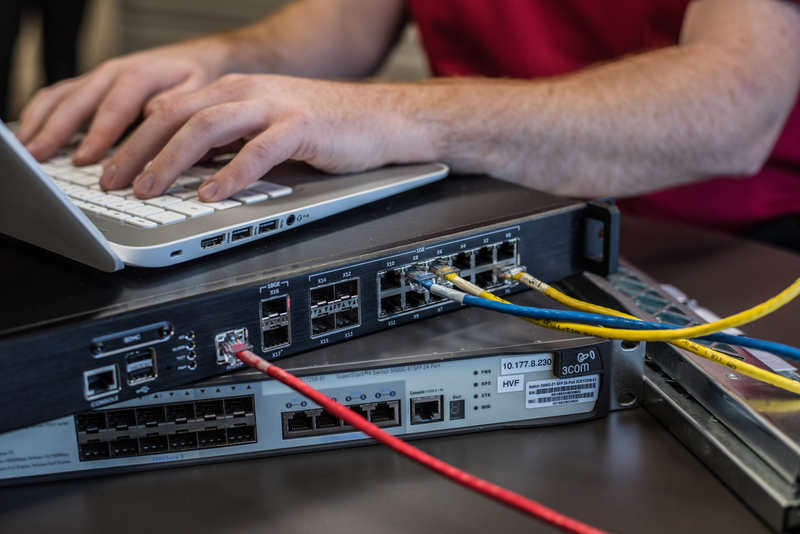 Utilize your firewall – Most computers come with a built-in firewall. Leave it enabled. It protects you from malware and unsolicited incoming connections. Also, when your firewall prompts you with questions, make sure you provide it with the correct answers. If you tell your firewall you’re at home when you’re really at a coffee shop for example, it could make your shared files available to other people on that network. Instead choose the Public setting, if you really are in public.